Ahh, gotta love summer. Even though I’m not a big fan of sweating (especially at night, what with sharing a bed with the human radiator), hot weather definitely lifts my spirits. I had quite an enjoyably slow weekend. Saturday I just lazied around the house, reading magazines and doing some laundry. 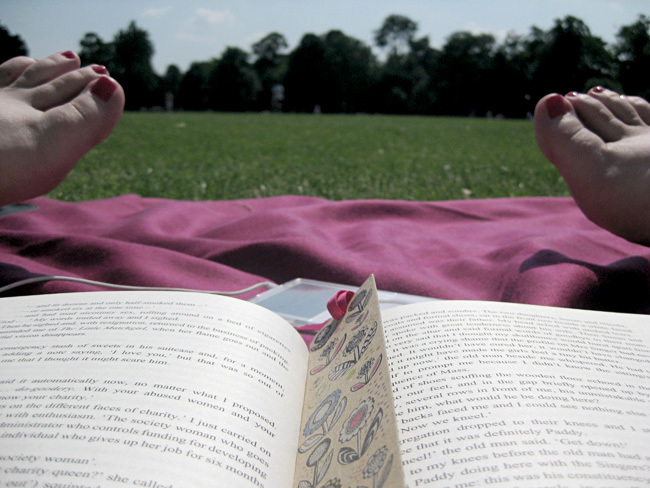 But yesterday was so hot that I just had to drag myself out to the park, and it was so worth it, I even managed to finish the book I’ve been trying to read for months. 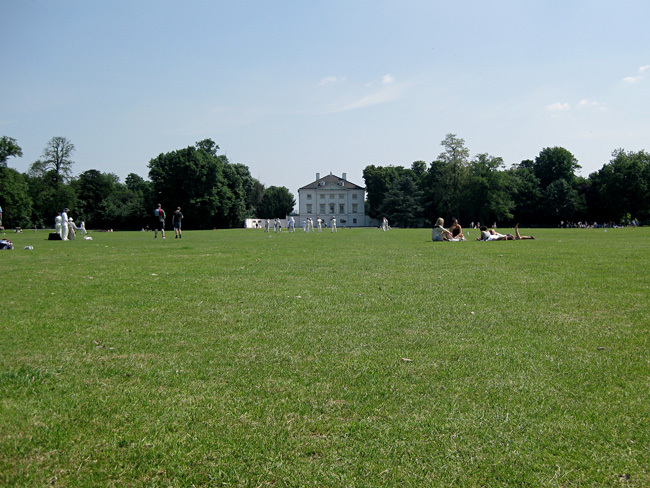 Lying on the grass, reading and listening to music mixing with the sounds of people playing cricket or kicking a football around was the most relaxed I’ve felt in weeks. Last night S was looking at job listings and asked me whether he should apply for one in Vienna or one in Gibraltar. ‘Hot place, thankyouplease.’ 😀 One might think we have some commitment (to location) issues… I dunno, I doubt we’ll be going to Gibraltar any time soon, but even the thought of the opportunity sort of helps make me feel better. I think what gets me most down is the thought of ‘this is it’. It’s such a soul-destroyingly crushing concept, that your life would be somehow set and there would be no flexibility in it for the rest of your years. I think where the conflict lies is that at the same time I crave for stability, I take the ‘safe’ option because I want to feel like I’m settling down, and then I promptly proceed to feel like a prisoner. Funny that.